Often times I think about those "perfect" soul singles; you know the type, where one side has an uptempo cooker and the other a beautiful ballad. Thankfully, this was a formula that was adhered to quite often in the golden days, leaving us with singles such as this that show both sides of the amazing Kelly Brothers. "Got The Feeling" is, quite simply, a less-than-two-minutes track of groove perfection, and while 'You're The Most" may not be the finest in song craft, those gorgeous harmonies of the Kelly Brothers (Curtis Kelly, Andrew Kelly, Robert Kelly, plus T. C. Lee and Offie Reese) turns it into something completely majestic. Beginning as a gospel family group in Chicago in the fifties, the Kelly Brothers spent most of the sixties recording secular material that is deeply rooted in the call and response of gospel music. Behold one of the finest English energy explosions north of The Who. 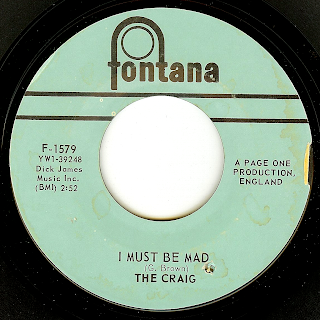 Birmingham group The King Bees were signed up by producer Larry Page (who also played an important role with producing The Kinks early on) who changed their name (quite mysteriously) to The Craig (there was no Craig in the band). 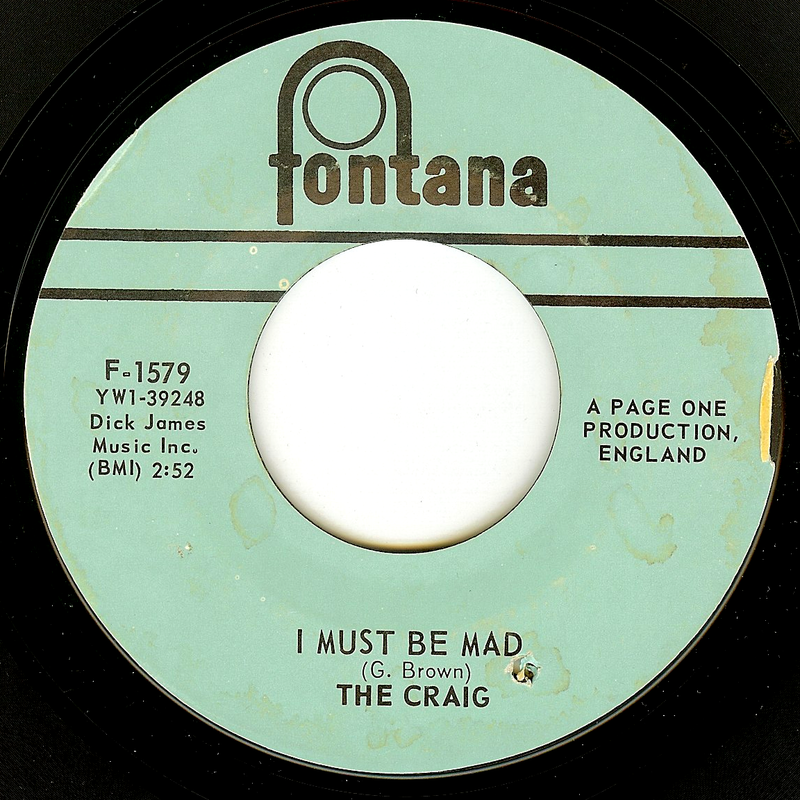 The group's first release was a rather pedestrian version of "A Little Bit Of Soap", and for their second release the group was given complete creative freedom for this Purple Heart-fuelled beat masterpiece which was written by singer Geoff Brown. 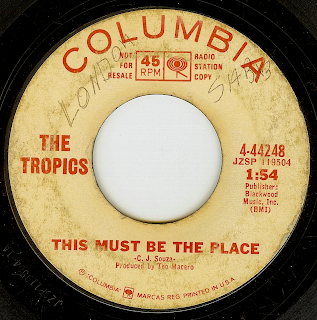 Allegedly, this song was captured in one take, live in the studio with no overdubs. I believe it; energy like this happening in multiple takes is the musical equivalent of lightning striking twice. Luckily, this take was captured for posterity and released to induce excitement 45 years later. Even though this record has been loved by the Northern Soul scene for years, The Shalimars who recorded this record remain a mystery. There are at least a few other groups with the same name (and also one that adds a "Fabulous" to the name), but I speculate they are completely unrelated (and the photo seen in the youtube video someone put together for this track is certainly one of the "other" Shalimars). 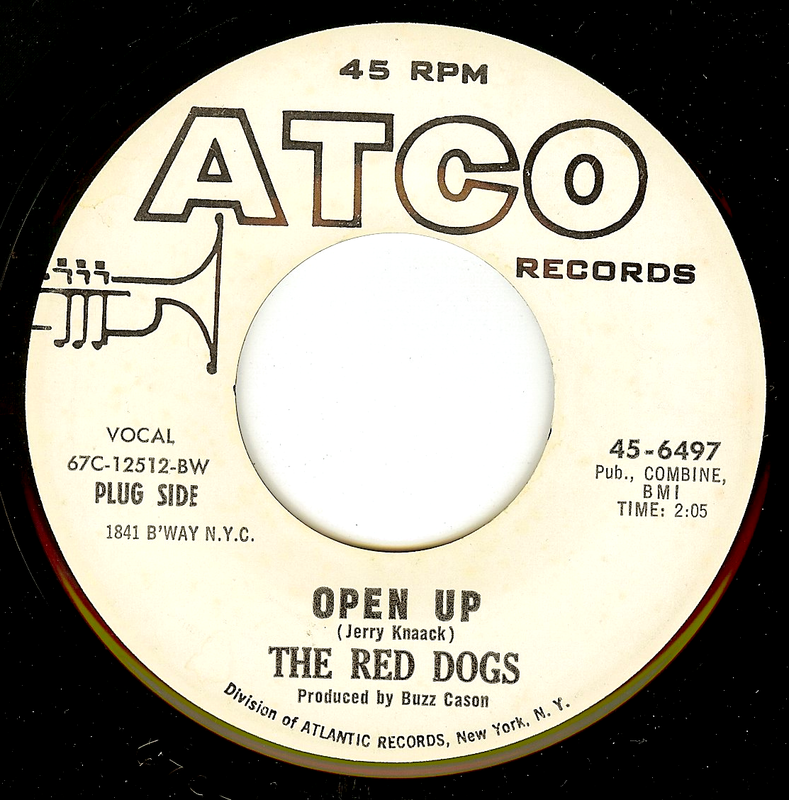 The Kama Sutra Production credit on the label pins this to being a New York record (which is also in line with the fact that it's on the Verve label), and the excellent song was written by the team of Sidney Barnes and J.J Jackson. 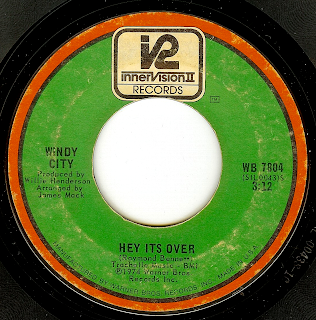 I would assume that the song was written in the period when the writing duo was working in Detroit, as the song certainly bubbles with motor city energy and an overall infectious (and glorious) girl group explosion. 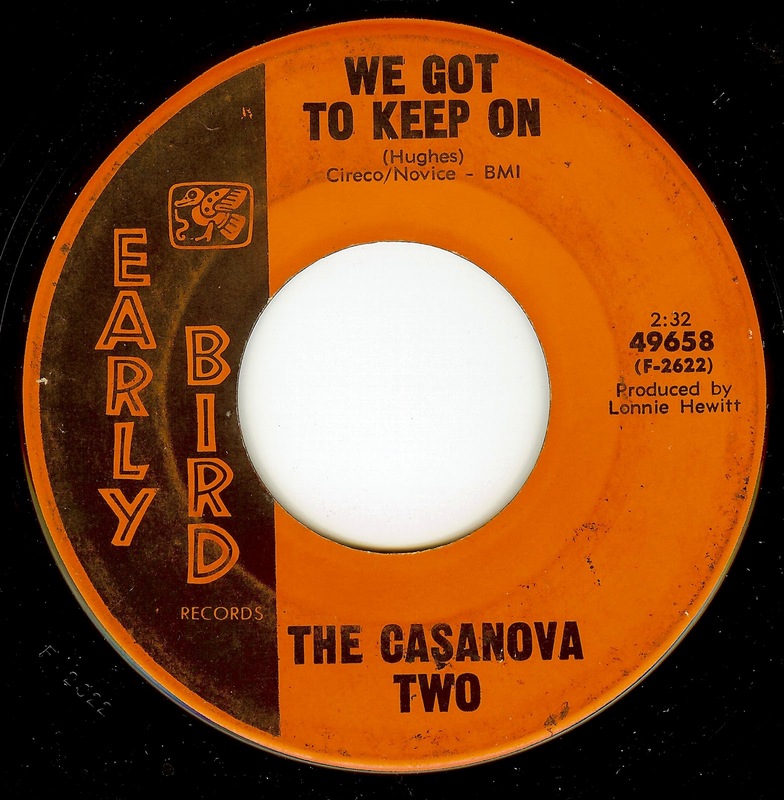 The Casanova Two were a duo made up of Freddie Hughes (not to be confused with VJ/ Brunswick artist Fred Hughes) and Wylie Trass, who make up something akin to a bay area equivalent of Sam & Dave on this record. Yes, it's THAT good. I had the great pleasure of meeting Mr Hughes a few months back, and he is a truly remarkable person; he occasionally performs in the Berkeley area with a voice just as strong as heard here. Perhaps the greatest exponent of the Motown sound that technically wasn't a Motown artist (yes, he did cut one session for the label) was laid out by J.J Barnes. 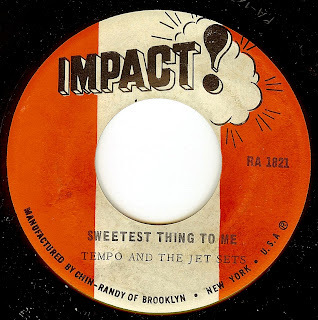 J.J's records are some of the best- yet under appreciated- soul records of the 60's, although they have been cherished by soul fanatics since their release. 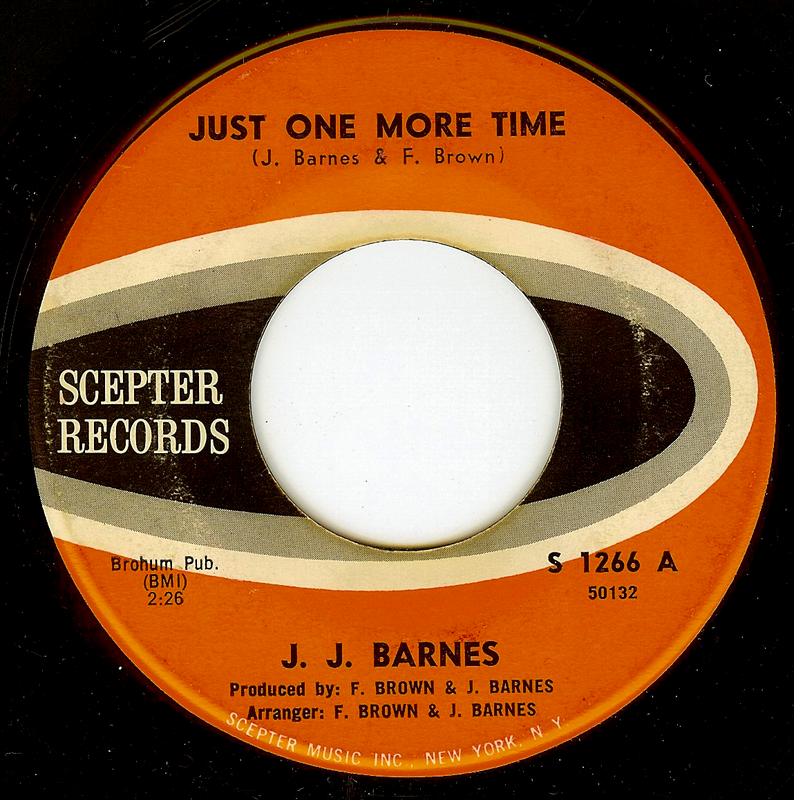 While J.J cut a few sides before this one, THIS is the record that cemented his status as one of the key ingredients of Detroit soul. 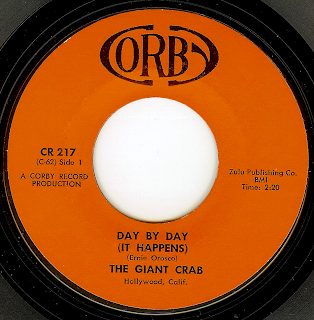 It was picked up from tiny Detroit indie label Mickay's for national distribution by Scepter. This is the type of record that I like to refer to as a "driving down the road feeling cool" jam; I copped that description from an old pal of mine who, after getting a mix tape of soul/jazz & funk/ jazz from another friend said "yeah, those are the kind of songs that you play in your car and you just feel real cool when you're driving". I agree; the type of tunes that feel like your own personal soundtrack that may not be a car chase through the streets of San Francisco but at least makes the mundane errands or commute just a little bit groovier. 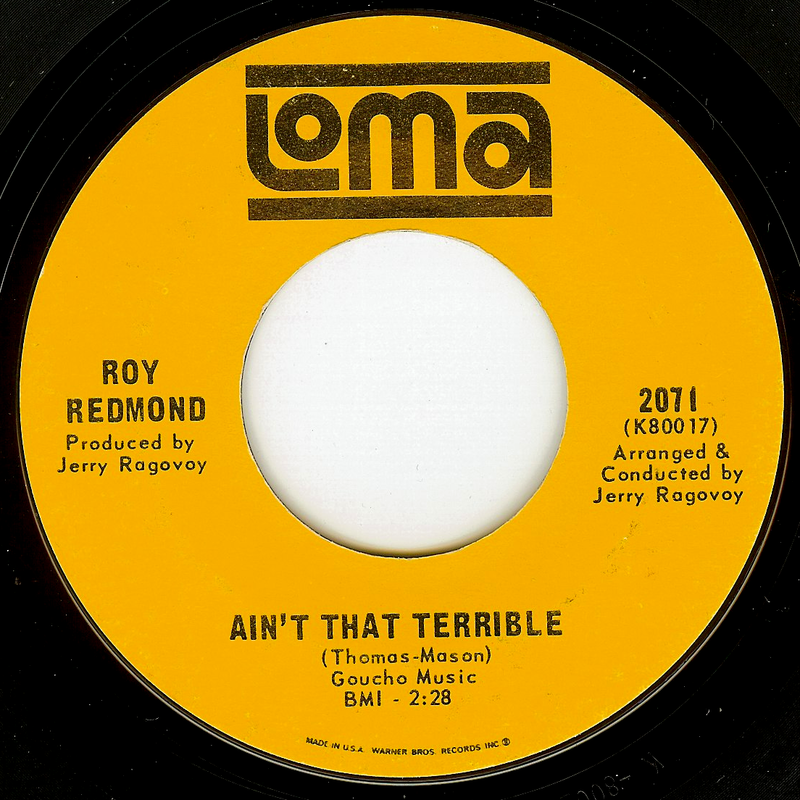 Billy Larkin was a Portland, OR based Hammond B-3 organist, and he cut a DEEP groove here on this massive cut; an instrumental of monumental proportions. 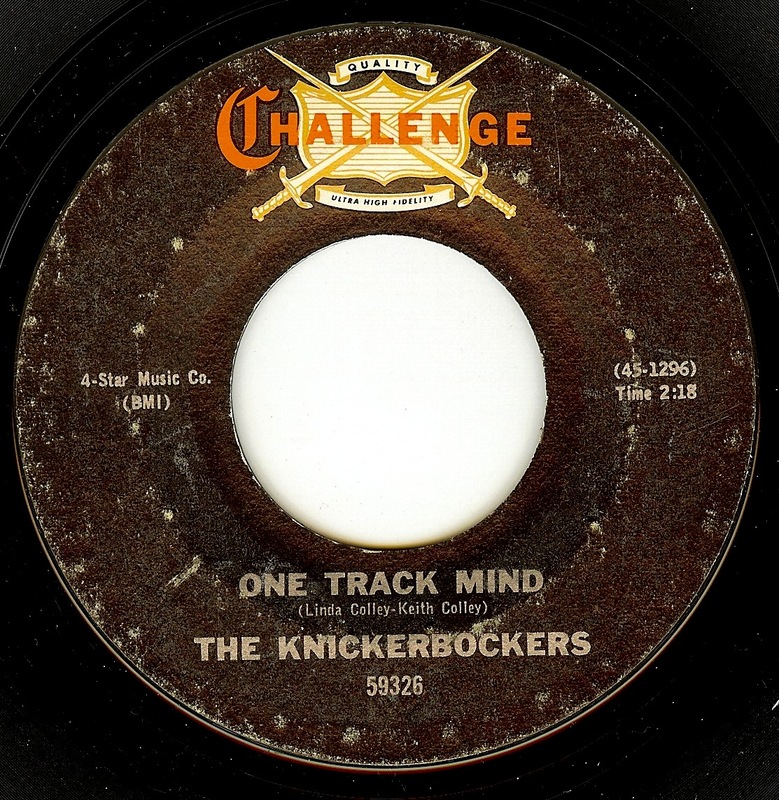 This group from Santa Barbara started out as Ernie & The Emperors and released one (great) UK beat inspired 45 on Reprise Records in 1965. By 1967, the group reappeared as The Giant Crab and took on a harder rocking sound that still retains plenty of beat influence on this track. Their final single, "ESP" was featured here a few years back, and a jaunt around the web shows that the surviving members all seem to be current gigging musicians. 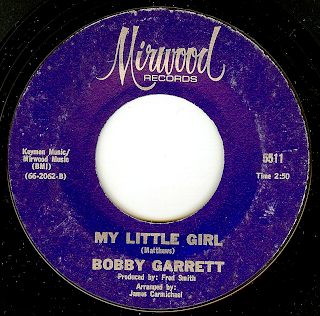 Bobby Garrett was actually Bobby Relf who was the second "Bob" in the duo of Bob & Earl (his voice is the high one on their immortal "Harlem Shuffle"). Bobby cut two records for the excellent Mirwood label out of Los Angeles under this pseudonym. 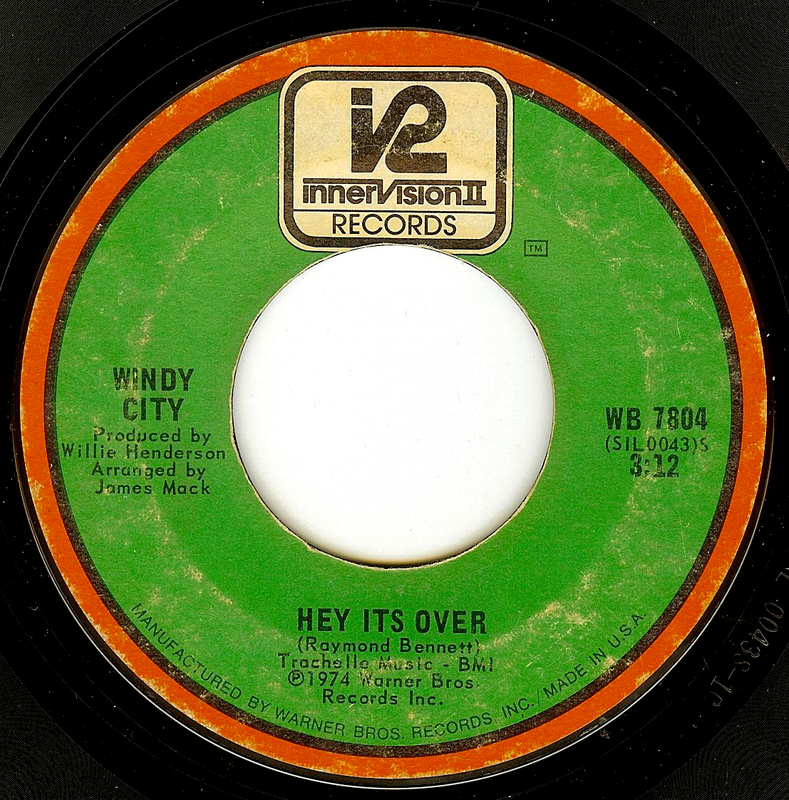 As for this particular track, it's another great example of the "Motown West" feel and sound that is heard on so many Mirwood 45's. Full of excitement, from the swirly strings, the cool vocals and tambourine hits that coincide with my heart beat when I hear tracks like this. It is incredibly sad to hear that Levon Helm is losing his battle with cancer; a battle he has fought for over ten years. I can't help but believe that music is one of the things that has kept this man holding on. (from the original post, 23 Sept 2009): Spending years perfecting their musical (and vocal!) chops in countless bars in Toronto and beyond, this is the group that, three short years later, became The Band. During that three years, these guys were some of the most controversial musicians around, backing Bob Dylan on his first worldwide electric tours. Creating some of the most alive, raw and soulful music ever heard, they were booed almost everywhere for the heresy of perverting pure folie Dylan. Little did they know Bob always wanted to be a rock star and the incredible musicianship of the Hawks helped him achieve what he always wanted! 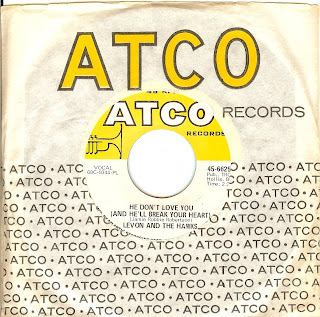 The Hawks spent the latter part of the fifties through around 1964 as backing back for rockabilly legend Ronnie Hawkins, who took the combination of young Canadians and one transplanted southerner under his wing, worked them hard and turned them into some of the finest musicians known to the world. This track is so deep and utterly soulful that it could easily pass for something off of Stax records. While the Band later explored all types of roots music, the r&b backbeat was a constant through their entire career. Standing alongside The Beau Brummels, San Francisco's Mojo Men were one of the first San Francisco rock 'n roll bands to put their sound to wax. 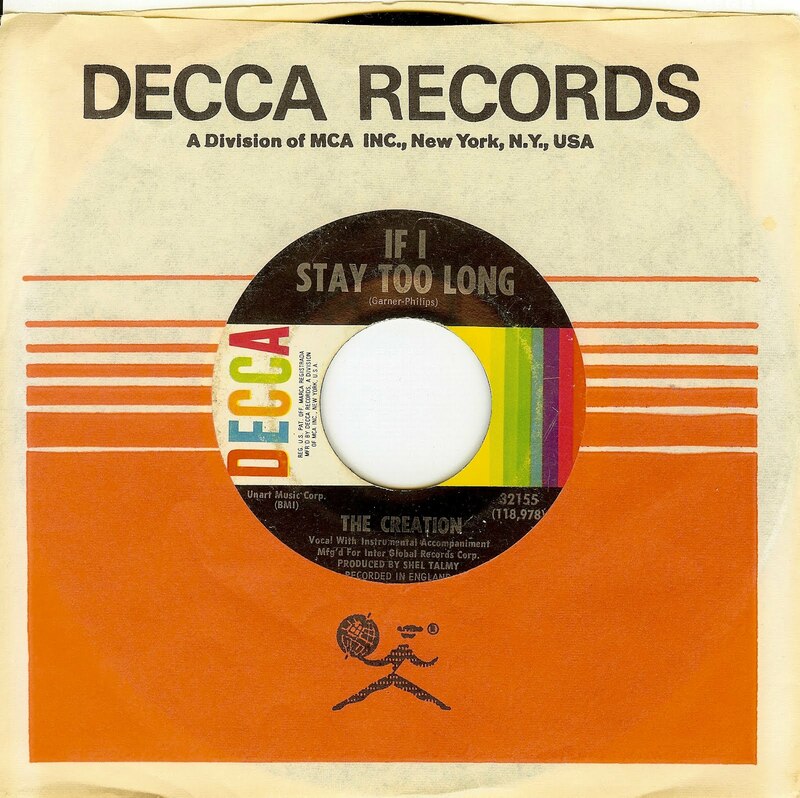 This record was first released on Autumn Records, coinciding with the buyout of that SF label by Warner Brothers records who, realising its hit potential (which was never realized) quickly reissued it on their Reprise Records subsidiary. 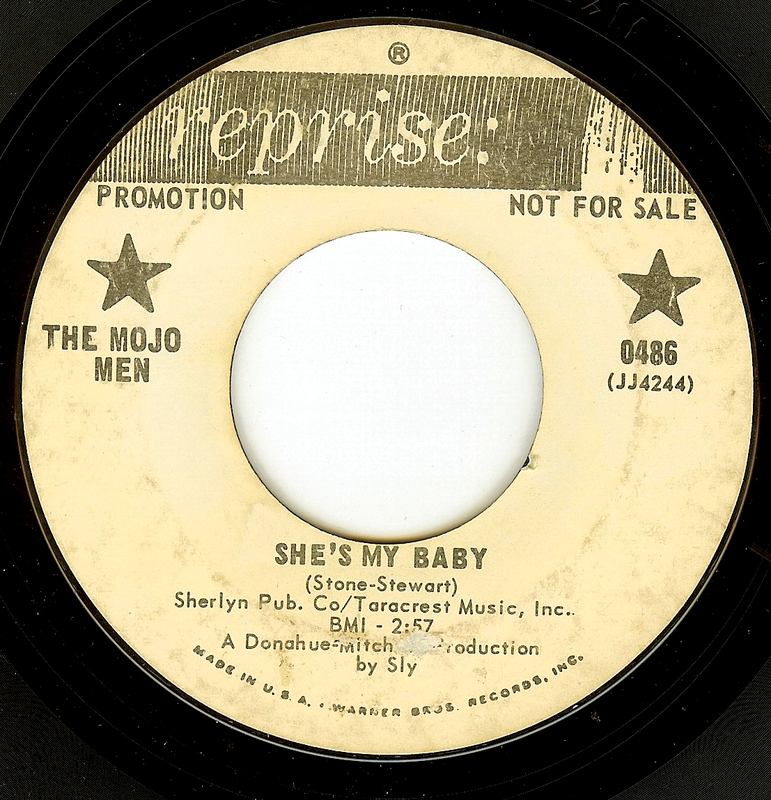 Shortly after the time of this release, the group featured a mojo woman on drums; namely, Jan Errico (herself sister to Sly & The Family Stone drummer Greg Errico). Sly Stone himself co-wrote the track and is the producer. Stories of Sly's enthusiasm in the studio are the stuff of legend, and I can just visualize seeing him behind the mixing board with that infectious smile, dancing all around the control room as this track was cut. Sadly, the track never achieved the hit status that it truly deserved. On a related note, I posted a rare bay area 45 by The Venus Flytrap to my youtube page here. Even though this record was released by Wand Records (New York City), the piston-like snare drum and swirling strings are undoubtedly Detroit. Diane Lewis is sister to Pat Lewis, and the sisters started their musical careers together in The Adorables while they were still in high school. 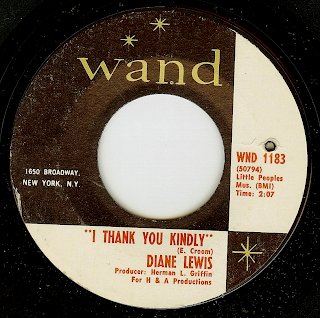 While Pat released a slew of great solo records, Diane released a mere three. I would make no stakes that this is an earth shattering composition, but the SOUND and Diane's sweet, lovely vocals make for a very pleasant listen; I can't get enough of this Detroit sound, personally! Here we are; going from the sublime (yesterday's entry) to the ridiculous. Something about this ridiculous little record is very sweet and charming to me, and it's full of the weirdness that made Abner Spector's most famous production (The Jaynetts- "Sally Go 'Round The Roses") so mysterious and freaky. The Corsairs had a HUGE national hit in 1962 with "Smoky Places", but could never match it on followups. This was their second to last release, and it couldn't quite capture the market which was all about doing The Monkey (dance) for a few years. 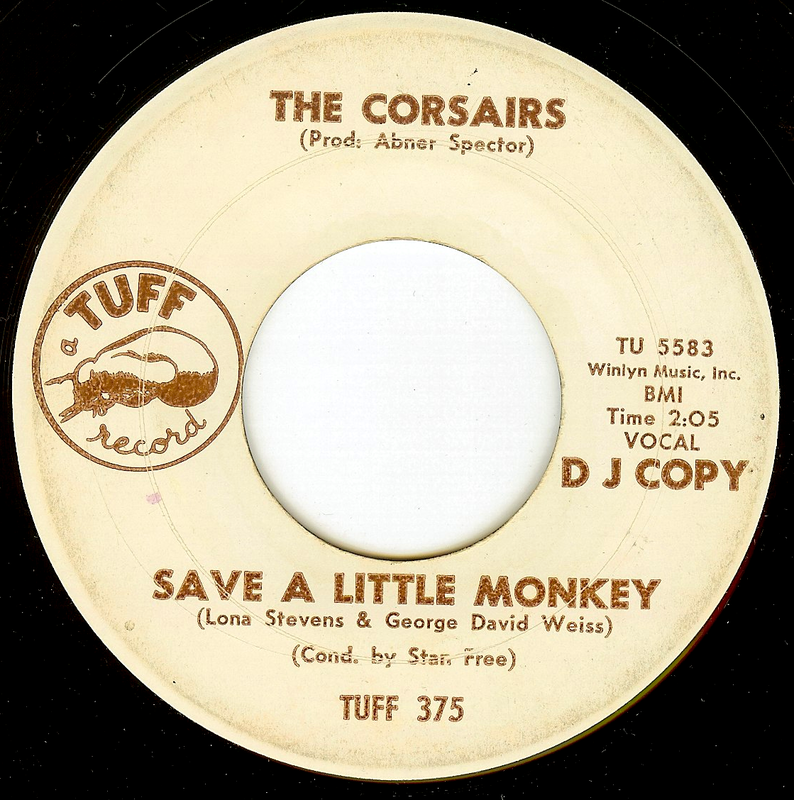 '63-'64 produced some of my favorite dance records; most revolving around The Monkey and The Uncle Willie. 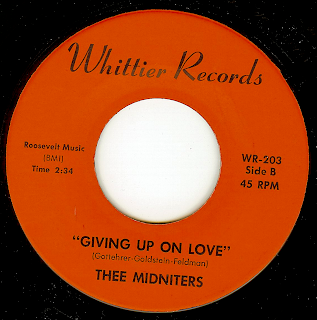 Originally recorded by Jerry Butler, on this side East LA's Midniters (not to be confused with Hank Ballards' Midnighters) transform the track from a minor number into an epic, deep Latino soul track that showcases the brilliant vocals of Willie Garcia (Little Willie G). Thee Midniters were an group with unlimited talent, who could deliver a soul ballad such as this, a dance floor classic ("Land Of A Thousand Dances", itself a national hit), or outrageous garage/ psych ("Jump, Jive And Harmonize") with equal conviction. Despite massive popularity in their home base (and state) of Tampa, FL, the most national success The Birdwatchers ever achieved was with this excellent Beatle-esque number which peaked at #125 in Billboard. The group even had some national exposure on the popular "Where The Action Is" TV show. While the song may be a TAD bit slight, it's infectious and driven along by a great groove and excellent harmonies. Jerry Ragovoy produced some of the greatest soul ballads of the 60's; records by Lorraine Ellison and Garnet Mimms are some of the most beautiful, lush records that have ever graced our ears. Ragovoy-produced stompers are far less common, but today's entry is perhaps the greatest of them all. 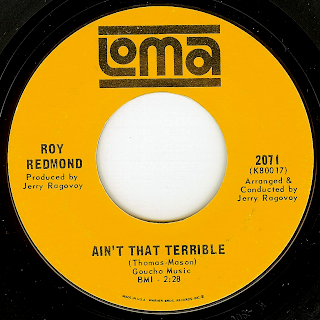 Roy Redmond cut three singles for Loma records under the production of Jerry Ragovoy, and on this track the listener has no other choice than to submit to the almighty groove and fantastic, powerful, charismatic vocals from Roy. On this track, the group blows the roof off with two minutes of fuzzed out stomp that is, in my opinion, their greatest side. Here's a STORMING sermon from Oakland, CA's The Right Kind; a group which featured Merl Saunders on the Hammond B-3 organ (although I don't hear it very clearly in this track). Saunders went on to success as a frequent collaborator with Jerry Garcia beginning in the early '70's. The group and (especially) the vocalists ride this groove into a whole other level for less than 2 and a half minutes. Carnival Records released some fabulous soul records in the 60's, and are known most for being the label that began the career of The Manhattans, under the direction of label head and producer Joe Evans (born 1916). Evans' story is remarkable; he performed with a virtual who's who of jazz music, and also became involved in r&b in the early 60's. 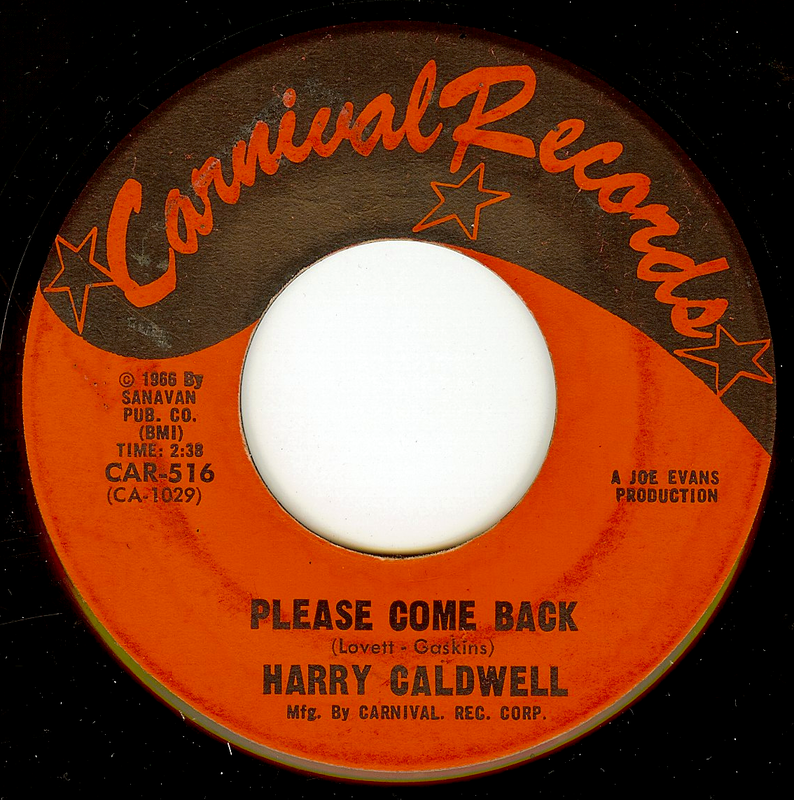 Harry Caldwell released 2 singles on Carnival; this was his debut followed by another several years later. Caldwell certainly had the talent- his smooth delivery recalls Sam Cooke. I'm afraid that I have no biographical info on the singer, and as Carnival was based in Newark, NJ, I assume he was from the NJ/NYC area. 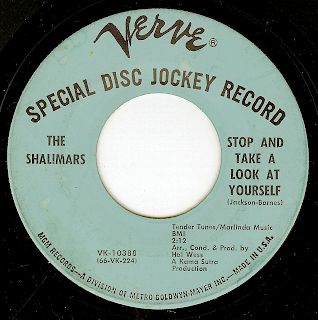 Despite the quality of the record, Carnival simply did not have the means to push their releases into national hit making territory. While the lyrics may be dated and silly, vocalist Adam Blessing delivers them so well and with such conviction that it simply doesn't matter. 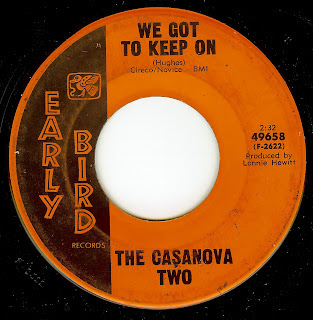 This band from Cleveland, OH sound like some sort of cross between the Stax rhythm section and the Jimi Hendrix Experience on this excellent cut that hit big in their home town but never broke nationally. Turns out that singer Blessing was leading a group called The Society when he saw a group called Dust (not to be confused with the band of the same name that released some LP's in the early 70's) perform. 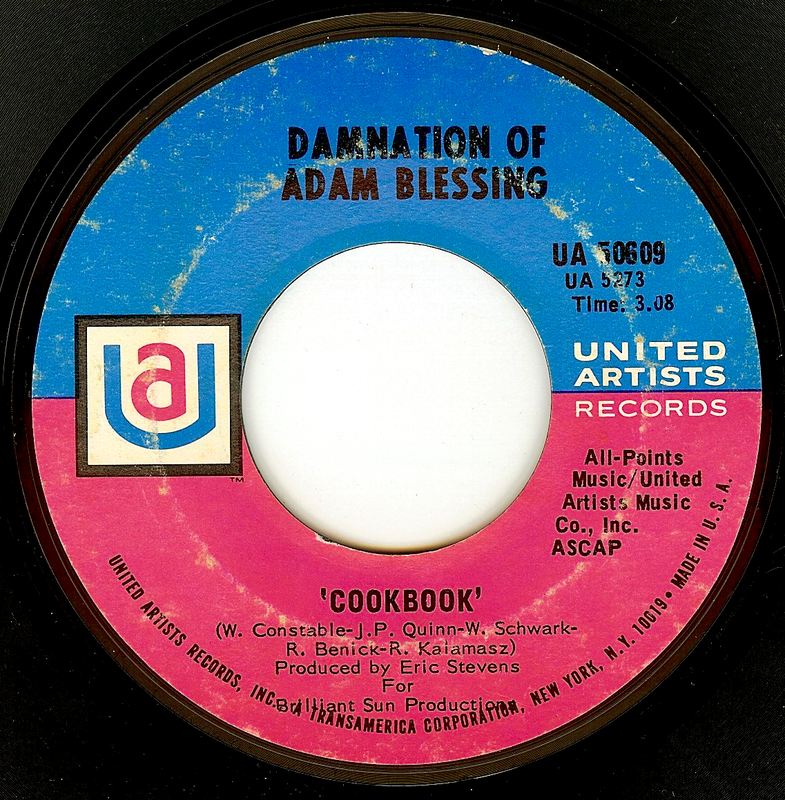 Blessing took the core of Dust (Bob Kalamasz- lead guitar, Bill Schwark- drums), and Ray Benich- bass) to create The Damnation. The group released four albums until their end in 1973. 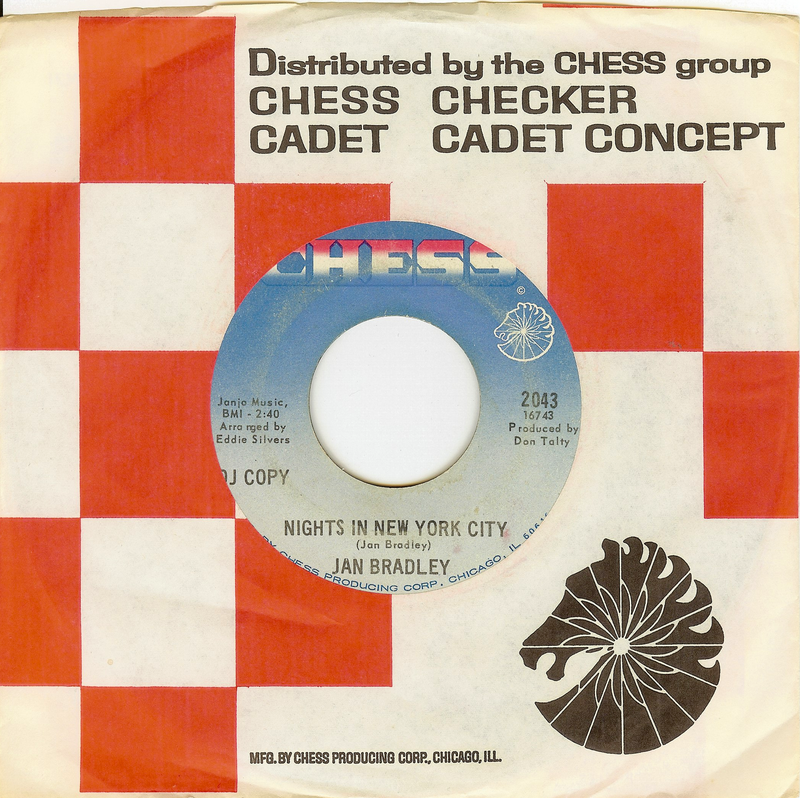 With a sweet voice that conveys conveys innocence, happiness and heartbreak in equal measures, Jan Bradley is one of my favorite Chicago (by way of Mississippi) ladies of soul. In addition to being an incredibly emotive singer, Jan also had a hand in writing a number of her songs, including today's entry, whose lyrics brilliantly convey the feeling of loneliness in a densely populated city. Jan Bradley was discovered singing while still in high school, and shortly after graduating recorded the incredible "Mama Didn't Lie" with Curtis Mayfield behind the boards (it was a huge r&b hit which also crossed over to the pop charts). She continued releasing records til the early seventies (including this writers' personal favorite, "It's Just Your Way") when she left the biz. She became a social worker on the Chicago south side, but still continues singing in her church choir. Not content with cutting the greatest Beatles sound-alike EVER (the brilliant "Lies", 1965), this New Jersey group followed it up with a single that was nearly as great; the energy level was just as high, and the sound was more their own (while still maintaining a strong British beat influence). 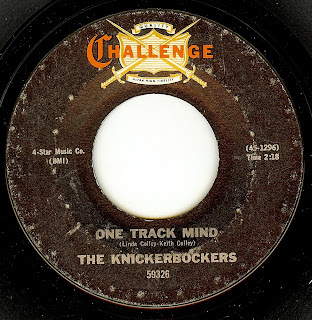 Allegedly, this song was well on its way to becoming a follow-up smash (it peaked at #45 on the charts), but Challenge Records could not adequately distribute the record. A pity, as this is one of the most exciting rock n roll records of 1966; a year that I hold as THE GREATEST year for rock n roll. 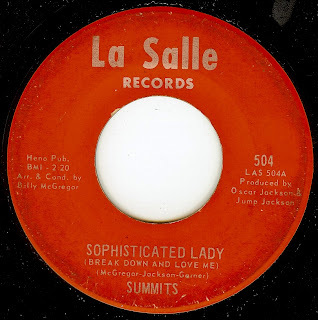 While there are at least three groups from the '60's that used the name The Accents, this particular group was from Chicago's south side and cut only two singles, of which this is the second (their first, "New Girl" was a minor r&b hit). Yet another example of excellent ingredients that didn't hit at the time, but simply sounds amazing today. 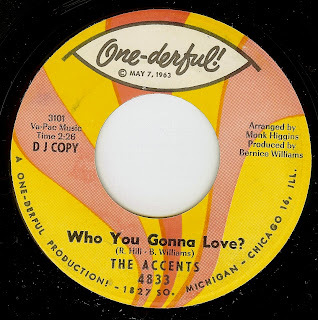 THE ACCENTS - WHO YOU GONNA LOVE? Today's entry is one of those records that is a mystery, more or less. 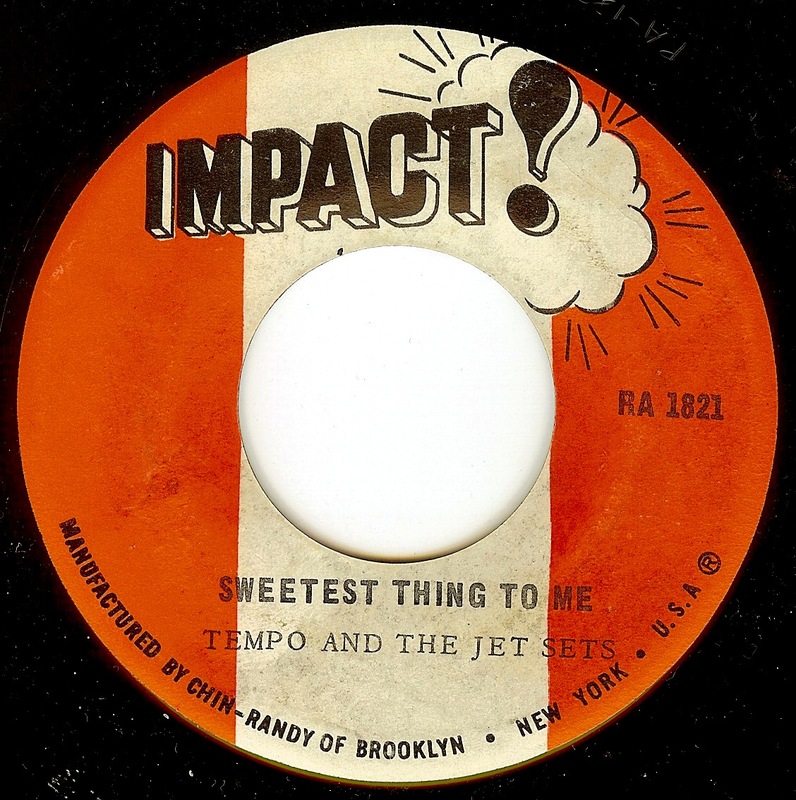 A few names on the label are familiar; Billy McGregor was brother of George McGregor, who, with The Bronzettes, cut the extraordinary "Temptation Is Hard To Fight". Jump Jackson was a New Orleans born-transplanted-to-Chicago bandleader/music entrepreneur who worked mostly in the blues scene. By the time this record was released (I'm taking a guess at 1966), the sound of Chicago had become far more sophisticated than this RAW record which is made all the more interesting by its use of "Sophisticated" in the title. Whatever the story, this record, driven by its infectious bongo beat and outstanding falsetto vocals, sounds like a transmission from an alternate universe. There are other records by group(s) with the same name, but I am unclear if they are related. 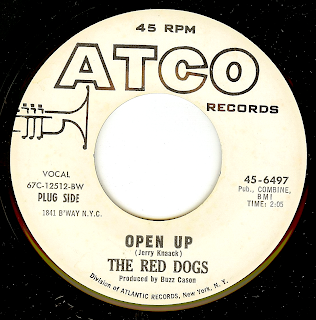 With names such as Eugene Record, Carl Davis, and Gerald Sims on the label, a record is almost guaranteed to be a winner. This one is no exception. Even though he released a handful of 45's and worked with one of Chicago's heaviest hitters and a name that pops up around here quite often (Gerald Sims), little is known about Lee Charles. 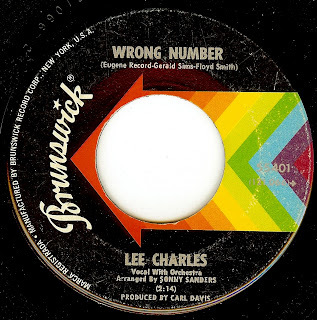 Lee's vocals strike me as having a strong southern grit; perhaps he was a southerner transplanted to Chicago, or perhaps it was another case of the ubiquitous gospel background? With their first two single releases ("Making Time" and "Painterman b/w Biff! Bang! Pow! "), London's The Creation established themselves as one of THE greatest mod groups on the scene, albeit a group that was appreciated far more in the years after they broke up. The group found their biggest success in Germany during their time together (as evidenced by a scorching live performance on the German show "Beat Beat Beat"). 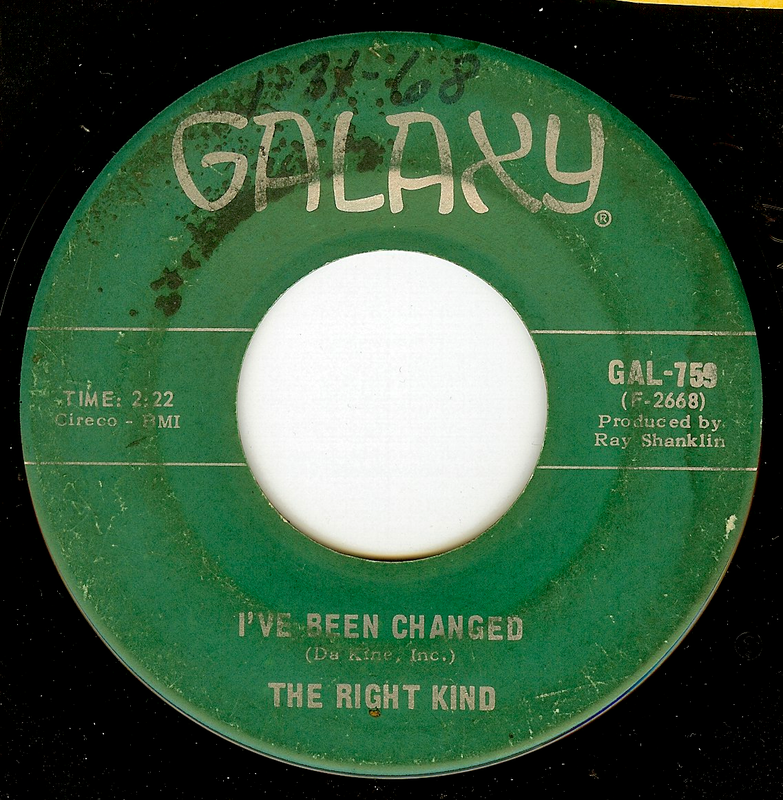 In June of 1967, original Creation singer Kenny Pickett left the group, to be replaced on lead vocals by former Creation bassist Bob Garner who was replaced on bass by Kim GarDner. 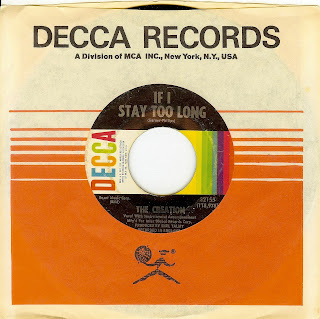 In his debut role as lead singer, Garner co-wrote "If I Stay Too Long" with genius guitarist Eddie Phillips, and made for the Creation's greatest pure British soul track; I for one wish that Otis Redding would have cut a version, as I can just imagine how great THAT would have been. The other side, "Nightmares", (co-written by the absent Kenny Pickett) is possibly The Creation's most overtly psychedelic record, and it's spooky sound went straight past the summer of love into the autumn of the acid-drenched afterglow. 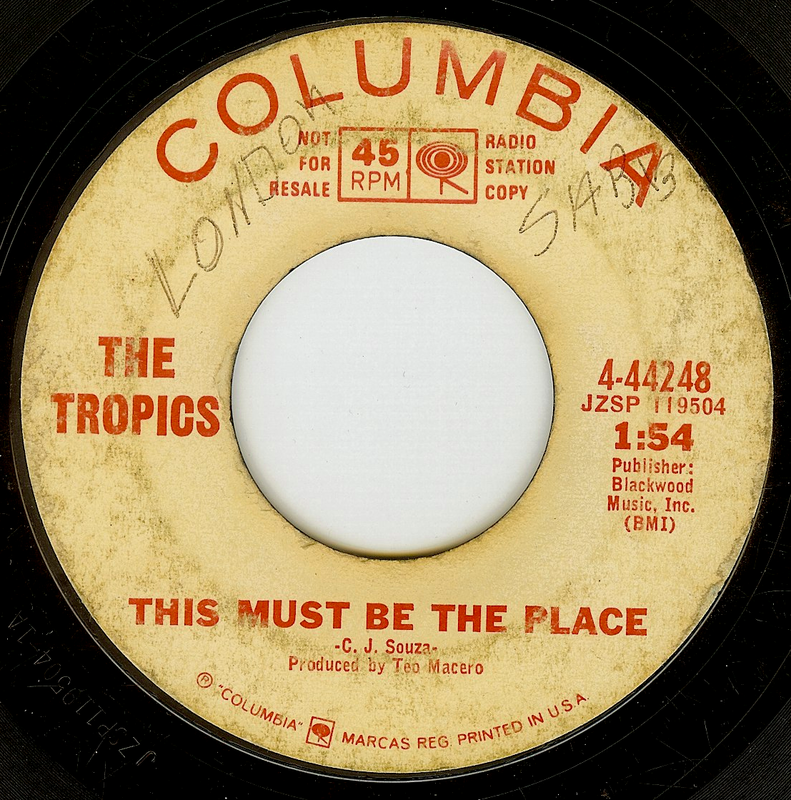 I'm not an expert on Jamaican music (far from it, in fact); frankly, I'm a bit intimidated by the sheer number of records produced on the island during the 60's and 70's. I've got quite a bit in my collection, though, and I love the sounds deeply. 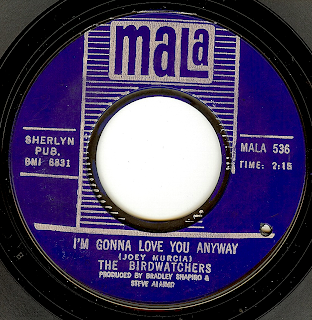 While most of what I have is on compilations/ box sets and the like, occasionally I'll come across some nice original 45's such as this one. The first thing that strikes me about this record is the downright top shelf vocalists; this duo just NAILS the performance and sends shivers up my spine! The song itself is amazing as well. In prepping to do this post, I looked to see if there was any info about the group in my copy of "Reggae- The Rough Guide" and while that book has a massive amount of info, there is none on Tempo And The Jet Sets. The web wasn't much of a help either, but I think the release date is correct. 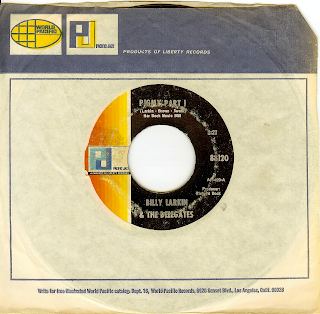 This is a US pressing; by the mid-70's many Jamaican releases were seeing small print runs on labels based in New York City (in addition to many titles being imported from both Jamaica and the UK) accounting for nearly endless label and pressing variations of these records.